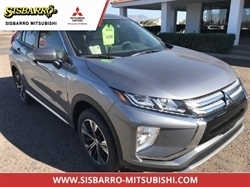 Diamond White Pearl 2018 Mitsubishi Outlander LE 4WD CVT 2.4L I4 SOHC 4WD, Automatic temperature control, Blind spot sensor: Lane Change Assist (LCA) warning, Brake assist, Electronic Stability Control, Knee airbag, Power moonroof, Speed-sensing steering, Steering wheel mounted audio controls, Wheels: 18`` x 7`` Black Painted Alloy. Hello, I would like more information about the 2018 Mitsubishi Outlander, stock# MI8235. Hello, I would like to see more pictures of the 2018 Mitsubishi Outlander, stock# MI8235.